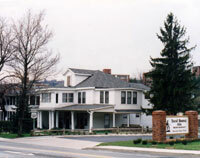 Located in downtown Boone, the Dan’l Boone Inn occupies one of the oldest and most historical buildings in town. 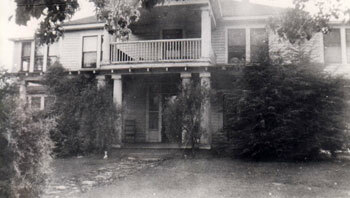 The building first served as the residence and office for Dr. R.K. Bingham and family. It also served as Boone’s first hospital. 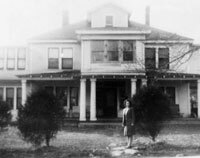 Once the new hospital was built down the street, the home became a rooming house for students at Appalachian State Teachers College. 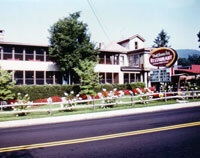 In 1959, the Whitaker family opened the Dan’l Boone Inn as a family style restaurant. For over fifty years, the restaurant has served family style meals, making it the oldest restaurant in Boone. Dan’l Boone Inn has been featured in numerous national and regional publications including Southern Living, Our State magazine and Blue Ridge Country magazine. Come and see for yourself why generations of residents and visitors alike chose Dan’l Boone Inn.